The popularity of classes that encourage developmental skills in toddlers is exploding, which means that as a parent, you have lots of options, including art classes. Karin Machusic, Director of Public Relations at Abrakadoodle, a business that offers art classes for children of all ages around the U.S., and in China, Singapore, and Japan, talks about the benefits of art for toddlers and how to get started with this great activity for young children. At What Age Should Young Kids Begin to Explore Art? Art is a great first educational enrichment program for toddlers. Abrakadoodle’s Twoosy Doodlers program is a special parent and child class that is designed for children ages 20-36 months and a parent or caregiver. While the Twoosy’s explore art using a hands-on, sensory approach, parents learn about the skills their children are developing and what is developmentally appropriate. Young children benefit from discovering art by doing and exploring an array of art materials. They are naturally curious and love to experiment with colors, textures and art tools. Using, safe, non-toxic art materials, toddlers can get messy using their hands to feel and apply paint; scribbling with markers and crayons; painting with sponges, brushes and other tools; squeezing safe modeling materials; cutting all types of paper products with safety scissors; gluing materials to create something new; and playing with shapes. These types of activities help toddlers to develop fine motor skills and cognitive abilities. Toddlers are taught by instructors who are specially trained to ensure best practices when working with very young children. This helps children to have an experience that is truly fun, while also building skills. Our teachers also help parents feel empowered to nurture their child’s creativity without stifling the all-important process of active discovery learning. 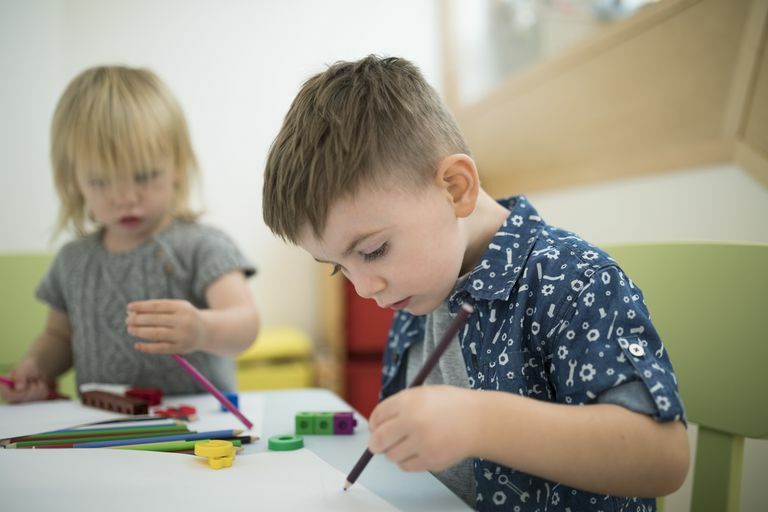 At a stage when their learning is so keenly sensory driven, our little artists will be encouraged to freely explore the art materials and will learn “arty words” that relate to their lesson. Because language development is also so important, our instructors teach by asking a lot of questions, such as: What color is that? What do you think will happen if we mix these two colors? We know that while language is developing, art is a wonderful way to help children express themselves. It helps children say things with and without words. Art helps young children to develop both gross and fine motor skills. Fine motor skills are essential for a child’s school readiness and include providing practice with hand-eye coordination; bilateral hand use and using small hands and fingers to grasp markers, crayons, and brushes and create scribbles and marks. Using markers, for instance, can help a child to develop eye tracking by following along with his/her eyes as he/she adds color or lines. Later these skills will enable the child to read left to right, form letters and even add up columns of numbers! Art also helps young children to have those moments of understanding cause and effect through opportunities to create using a Process Art methodology - meaning that children learn by doing. For instance, a child may be experimenting with colors and end up with something that looks muddy. Even an unintended outcome offers opportunities for a child to learn by doing. Art also emphasizes language reinforcement in discussing colors, shapes, patterns and all aspects of the creative process, including asking and answering questions. Our youngest art students gain confidence as they use their imaginations to create. Creativity can and should be taught and is an important, life-long skill, which also occurs naturally when children participate in art. We foster an early love of learning, which is tremendously important to set the stage for a lifelong learner. Abrakadoodle classes are always positive and never judgmental. Our classes help build confidence and help young students to learn acceptance, tolerance and joyful interaction with their peers. The socialization aspect of a first learning experience is also very important and sets the tone for healthy social interactions as a toddler encounters other new programs and experiences. Safety is paramount, and we recommend that all art materials are non-toxic. Obtain scissors that are an appropriate size for your toddler and monitor his/her use of them. Supply a variety of writing and drawing tools, such as crayons, markers, oil pastels, and colored pencils to spark your child’s interest, as well as a supply of blank paper. Don’t put everything out at once, as it can be overwhelming and distracting for a young child. Supply paper plates, recycled paper, old magazines and such to encourage creative clipping and for making pictures and collages. Supply non-toxic glue and tape for affixing cut-up pieces to create collages, pictures, and sculptures. Dough, clay and age-appropriate modeling compounds and encourage rolling, squeezing, cutting and forming the dough into shapes and objects. Having a specific area in the home that always has a variety of art materials available for children is a great way to interest and encourage children to experiment with art. Parents need to resist the urge to direct a child’s art creation or judge it. Creative expression and making choices builds independence in young children, as they naturally learn to do more and more by themselves each day. Parents can show interest by asking their child about the story behind the artwork. “How did you make it?” What is it all about?” “What do you really like about it?” Listen up! When a child asks a question, encourage the child to solve it by him/herself. “How do you think that might work?” “What can you try?” What would happen if….” Displaying a child’s artwork is also a great way to encourage a child to create art because it shows how much a parent values the child’s very original creation!